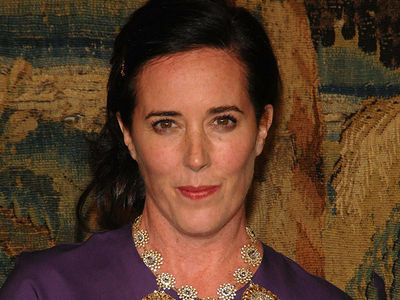 Kate Spade's father -- Earl F. Brosnahan -- died at his home Wednesday night ... just hours before his daughter was to be laid to rest. According to a statement by his family ... Earl had been in failing health and was "heartbroken over the recent death of his beloved daughter." He was surrounded by family when he passed. Kate's dad was a U.S. Navy vet who spent a large part of his life in the Midwest working for the family construction business and eventually taking it over. 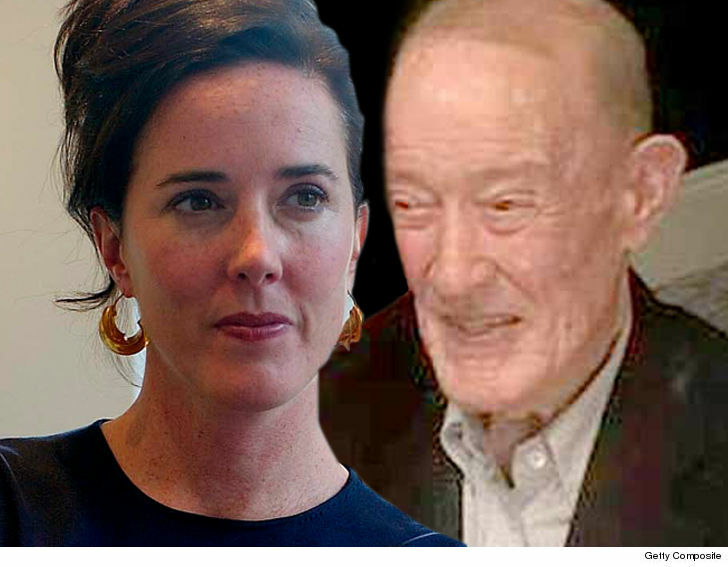 According to reports, Earl was concerned about Kate's use of prescription drugs and advised her not to take them. 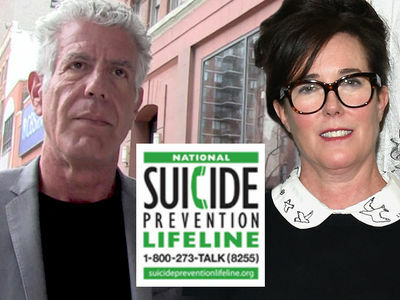 He also said he spoke with her the night before her suicide, and she gave no indication she was in that much despair. We broke the story ... cops investigating her suicide found a variety of anxiety meds at the scene, but no illegal drugs. 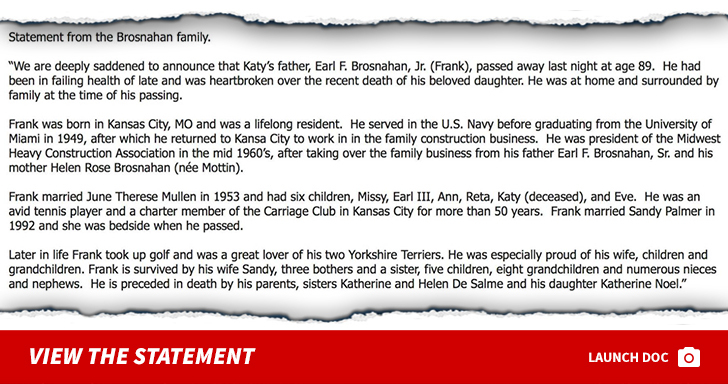 Kate's funeral is being held Thursday in Kansas City, Missouri, which is where her father passed as well. Earl was 89.